Have you been curious about certain beekeeping mistakes that have been made so you can learn and avoid those problems? 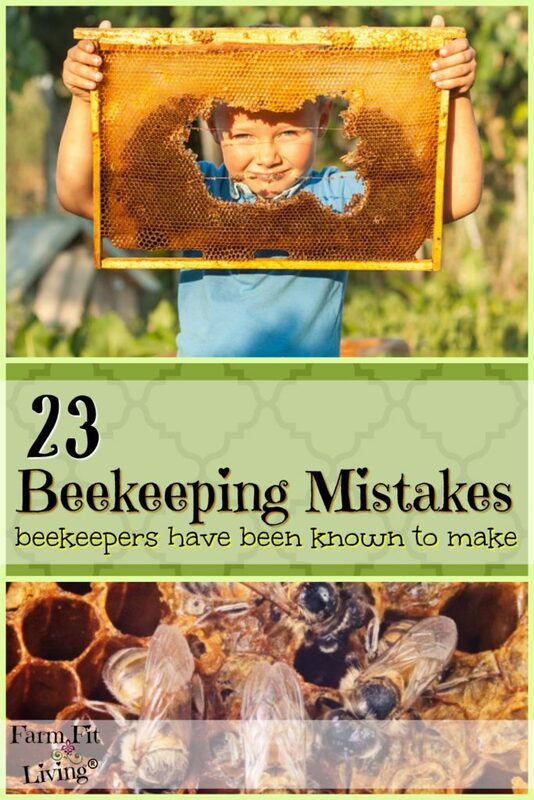 The top 23 beekeeping mistakes that beekeepers have been known to make. Highlighted with Green Heading Text. Why you might look into your hive and see bees gone from hive. This list isn’t justmistakes new beekeepers make, but veterans as well. You really do learn as you go. And hopefully, you’ll enjoy reading it but also learn what not to do instead. Let’s dive right in. Not having more time in the day available for beekeeping. All of these timing mistakes are so easy to overcome. Sometimes anxiety and fear is the biggest obstacle holding beekeepers back. And those fears keep beekeepers from actually doing what they want and becoming beekeepers. But those are mainly just mindful mistakes. Here are some technical errors involving timing that many new beekeepers will make and own up to. Assuming a hive with “plenty of room” had plenty of room and not inspecting within timely manner. Splitting strong over wintered hive too many times. Therefore, not enough bees in the hive, too much space and wax moths moved in!! Did a split way to early. Splits are very timely and you have to make sure there is a queen inside or onhand to requeen. Not adding another box to the first hives. So, not enough space and the bees suffocated or swarmed. Giving pollen patties in late summer (swarming) or not feeding through the Fall months (starving). Not removing the Queen Excluder on time. Failing to check for mites because they were a little unsure of technique. Waiting too long to catch a swarm. They disappeared. Try to get set up right away. Not reducing the entrance of a hive while feeding inside of the box, they were robbed and killed by hornets. Put that reducer in when it starts getting cold. Not investigating sooner when the beekeeper thought one of the hives had an issue. Suit up and check it out! Not taking the honey when the reserves were full. Hive swarmed several times and then robbed the others. Not catching a mite problem early enough. Make mite load checks part of your inspection routine. Going to work instead of tending to a robbery in progress. Take the day off and take care of your hive. And problems can be fixed when you hop on them right away. Most beekeeping problems occur because the beekeeper didn’t act upon a problem. But maybe it’s more deeper than that. Maybe it’s because the beekeeper didn’t have the knowledge needed to complete the task? Didn’t know who to ask? Or maybe they were just in the wrong place at the wrong time. There’s always a greater underlying reason about beekeeping mistakes. Staying on the subject of timing, it is quite possible to be in the wrong place at the wrong time. Bees can get pretty worked up over the little timing issues. Bees like to get up early and go to bed early. They hate change and bad weather. And being moved. Trying to reassemble and set up hives after dark. Or after being knocked over. Completing an inspection after dark. Why? Not feeding them during a drought or crucial times of the year. Opening the hive on a rainy day…Don’t get moisture in that hive! Extracting honey on a warm Fall day outdoors. Bees seem to be more protective of their stores in the Fall so you can imagine how the extraction went. Even trying to inspect right before dusk. You’re keeping the bees awake and they don’t like it! Moving hives during the winter or during bad weather. Just wait for a nice 50 degree day. Closing up a hive the night before to move the next day and being late the next morning. The bees were late to work. Not happy. Simply walking past your bee yard wearing the wrong color and smell. The wrong place at the wrong time turns into just the wrong thing. If only you would have known better…This is why I’m sharing these with you. I want you to have the knowledge to avoid these mistakes. And we all know there IS such a thing as the RIGHT knowledge versus the WRONG knowledge. Let’s talk about that now. There’s so much out there. How to know which knowledge is legit? I’m really striving to provide the best for you. What has worked for me and others according to my area. And “to my area” is the absolute most important three words you need to focus on. Stay local to your area. You’ll learn about the right vegetation, environmental practices and timing methods if you just follow what other successful keepers in your area are doing. But as we get started, there’s always a chance we’ll turn to the wrong person for help. Here are a few incidents you can avoid when looking for the right beekeeping knowledge. Not having a Mentor or even the right one. Trying to learn it all from a few books – Although the Beekeeper’s Handbook is the main one I really love and use. It’s so easy to want to find answers right away. But you really need to be super strategic in what resources you’re using. Join groups with people local to your area. That is the best advice I can share with you. Only starting with 1 hive! Not using locally grown bees. Results in stress and possibly not adapted in your area to diseases and pests. Going Treatment Free when first starting out. Visiting the bees without suiting up. Focusing on the honey and the money first…Bees should be first priority. Trying to reinvent the wheel. Do what works…not what is new or different. Spouses or friends who don’t like bees or support what you do. Having someone else keep bees on my property along with mine. Schedule and treatment conflicts all year. Community feeding too close to the hives my first year causing robbing. Neighbors who don’t support beekeeping. Yes, you should tell your neighbor you have bees. It’s a bad idea to keep that information from them. We can’t go through life and not learn through our own accidents. The following bullets are all real accidental mistakes beekeepers have confessed to making. I share these so that you won’t feel alone or make these same mistakes. Dropping a hive while moving it. Thinking I could lift a double by myself and tripping on a bear fence with almost no bee suit on. Not leveling the ground. As hives built up and started storing heavily to one side, a 4 story box fell sideways and started dominos with the rest of the colonies. Tipped the top deep up from the back to look for swarm cells and lost it rite down the front of the second deep, hit the ground and half the frames out. Locked off a hive mid summer. Shifted it. Forgot to unlock. Cooked the whole hive. Pinching a queen when I didn’t need to. Putting a box of about 35 queens under the truck to keep them in the shade while working…forgetting they were there, then backing over them. First year, killed brood larva thinking it was hive beetle larva. Not knowing that yellow jackets can take down a colony. Also confusing wasps with bees. Robbing hives. Letting the beesclean up honey spears to close to the Bee yard caused robbing. Excepting a dare to pop a lid and sit down on the hive bare assed…Yes, this really happened! Walking near the hive with my really long hair down sitting dearth and getting bees stuck in my hair!!! Bringing comb with bees into house or shed. Leaving the door to the house wide open in early spring. Bees came right in. Won’t do that again! Cutting out all queen cells without making sure there was a queen in the hive. Rookie mistake. Did a cut out and left came back the next afternoon to discover i’d put the hive box right near a red bull ant nest. Also, not removing wedding ring before inspection. Painting the inside of newly built deeps and putting bees in the next day. Caused them to swarm. Scraping off swarm cells after the hive swarmed(I thought it hadn’t though)… Big mistake but I learned from it. Took my cell phone with me, someone called me while I had a semi-aggressive hive opened up. Evidently they didn’t like the ringtone. Getting drunk and working bees with no smoke or gloves and veil. I paid for that one!!! Warmed up a bee with my breath….It woke up and stung me in the corner of my mouth…I looked like the godfather for a week! Making my first harvest of honey. Taking it back to the kitchen and having half the hive follow me to the house wanting it back. You have never seen someone move so quickly to close all the windows on the house. Always always always cover up. I don’t care how “gentle” your bees are. You never know when they will be angry at you and come after you. It’s just best to be prepared. Opening a newly extracted Cutout once put in their new home without a bee suit. Wearing sandals while brushing bees off frames to extract. Could not put shoes on for 5 days. Taking off gloves for a better grip on a piece of equipment. Or to touch a bee bare handed. Doing a 2nd story cutout on a ladder with a button up shirt, and open pants legs. Thinking it’s ok to only flip the veil up “temporarily” because I’ll zip it when really needed. WRONG! Don’t have a suit to protect yourself? Get one here. Many errors are made when the equipment is used in the wrong way or is damaged or infested. Consult with your mentor for good quality places to purchase equipment and parts and how to use them properly. Here are some common equipment mistakes beekeepers confess to making. Using a piece of equipment in the wrong way. Foundation Vs. Foundation-less – This is a common disagreement but the agreement is that it works better for established hives. Work with your mentor if you want to go foundation-less. Flow Hive – Also sparks some interesting discussion. I understand it works in some areas but not so well in others. Again, talk with your local beeks for more information. Not keeping up with a x-combing top bar. Using a Queen Excluder when you don’t need to. ALWAYS have a empty hive ready to go. You never know when you’re going to need more equipment or resources to make a split or catch a new swarm. Not bothering to light my smoker. Never again. Running out of fuel in my smoker while working a “hot” hive. I won’t ever do that again! Never Ever be without your smoker ready to go. Don’t have one? Buy the same one I use here. Too much Formic Acid at treatment. 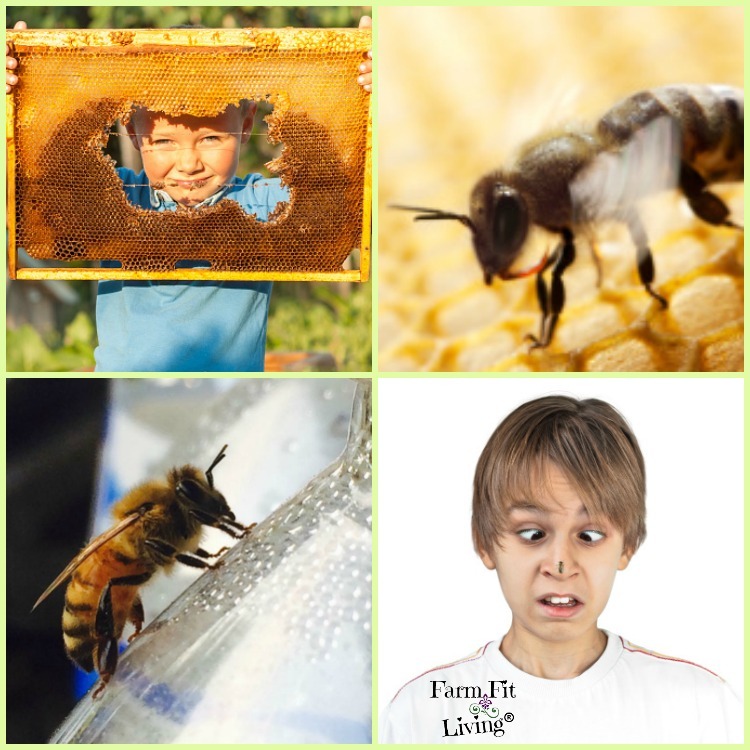 Put apivar in my hives my first year because i was told – with no mite check. Check first, before you treat. Idiot me opened two side by side hives at the same time just two feet apart. I sprayed my mangos with insecticide during flowering period. Lots of dead bees. Burnt the queen with the oxalic acid vaporizer. Check with your mentor on how to use the equipment. Put on perfume and open the beehive in the morning to check. Bees didn’t like my smell. Finally, don’t wear dark colors or the color RED! I wrapped and insulated for winter only to find a river of soupy wet dead bees in the spring. Replaced inner cover backwards in late winter. Bees couldn’t ventilate and temps dropped to around 5 F. Hive was dead within 24 hrs. Here’s the entrance reducer I use and keep extras on hand…Just in case. Getting free equipment came with foul broad. Free Bees that are infested with problems or have attitude issues. Changed out old comb and rehived without the queen who was hiding behind about 10 bees in the old wood ware. Putting my hives in shade. When they need to cool down, they need ventilation, not shade. Shade only helps the critters that infest them. Inspecting inside cells is a pain without the sunshine. Set hives a reasonable distance for you. Got tired of walking 10-30’ to see if there were eggs or larvae. Wasting too much money and then becoming frustrated is one of the main reasons beekeepers don’t stick it out. For many of those, beekeepers are doing it for the wrong reasons. If you’re simply doing it for the money and not the love, it’s going to feel like a waste. Let’s look at some of the confessions of beekeepers who say that money was the hardest hit mistakes they faced. Going to the bank for 100k thinking that California was the path for gold! Spend way too much money on little return. Thinking I could make a living at it. Trying to requeen a hive with a laying worker. Lost two expensive queens before I decided that my Mentor was right!! Buying a Nuc (or trying to buy) without checking references, never got my bee’s and got stiffed out of my deposit. Buying a package of bees in May that had already spent a season in California…….came complete with heavy mite load and deformed wing virus on arrival. Buying some equipment infected with American Foulbrood. 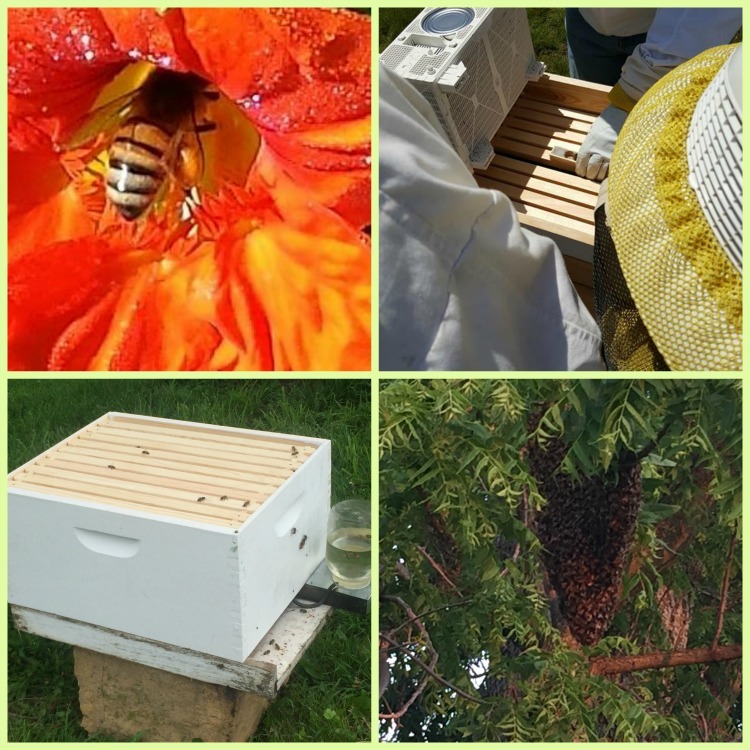 I’ve listed out these confessions of beekeepers in some of my favorite social media groups as well as a few of my own lessons learned. And I hope you’re not discouraged. I write this not to scare you away, but to encourage you to try. Because the absolute worst action you could take from this is to decide you aren’t going to go through with your dream of keeping bees. If you’re afraid to fail. Not Becoming a Beekeeper is the worst mistake you could make. Many of these beekeepers stated they wished they would have started earlier. And all of these keepers who gave confessions in order to help you and me learned from their mistakes or else they wouldn’t still be keeping bees. So, will you take action? Analyze this list and decide how they can help you to become a better beekeeper. How can you let this list of beekeeping mistakes help you to succeed with your skill and learn rather than to run away?